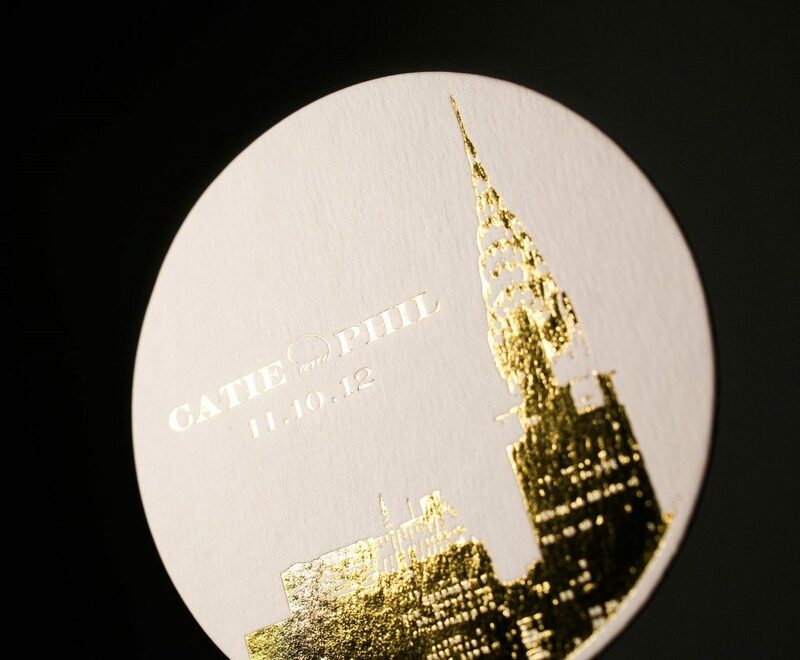 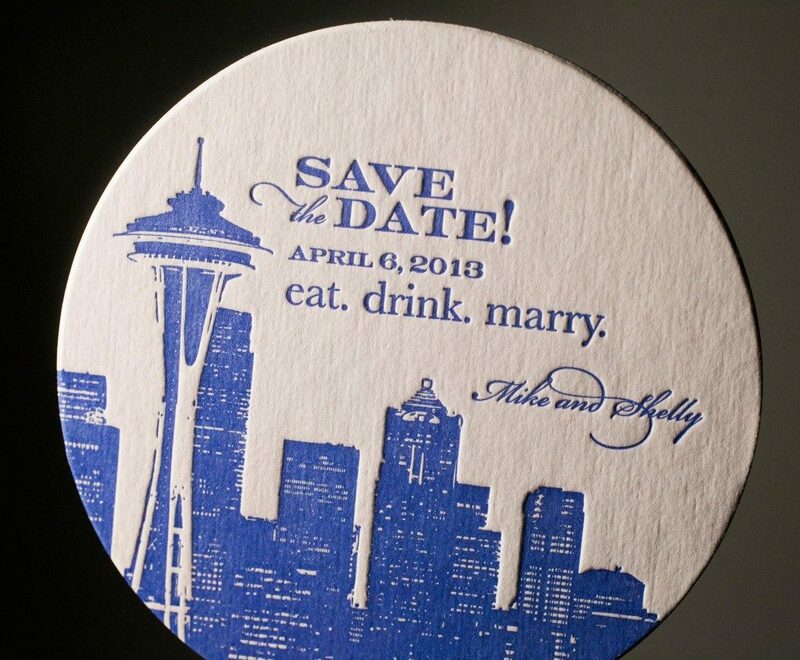 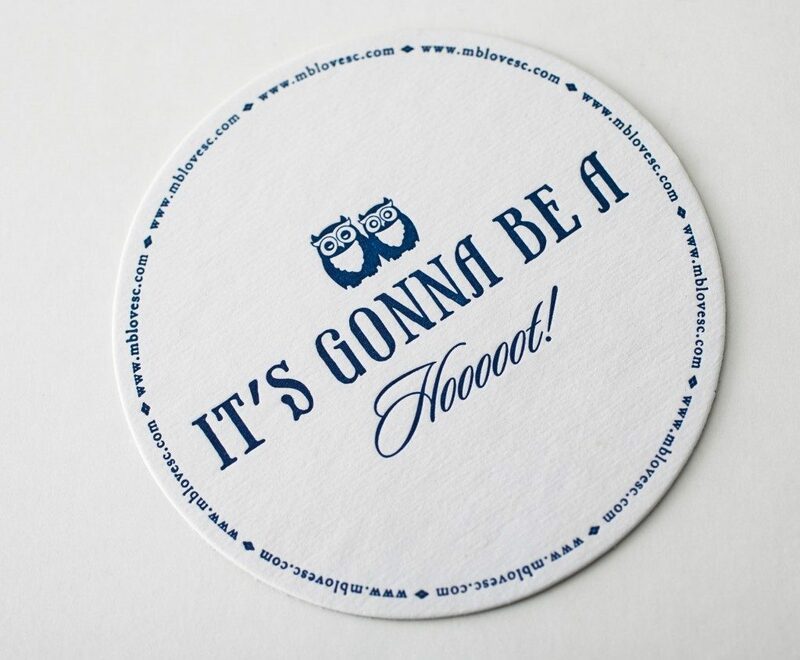 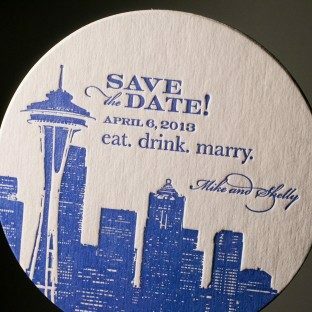 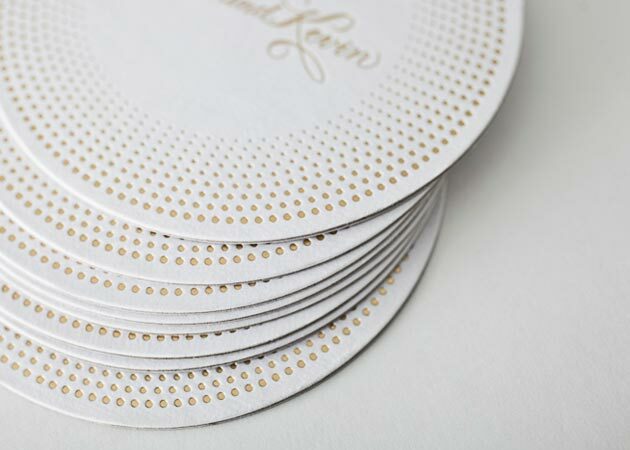 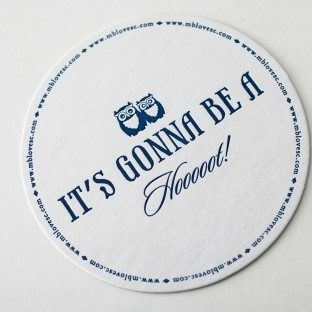 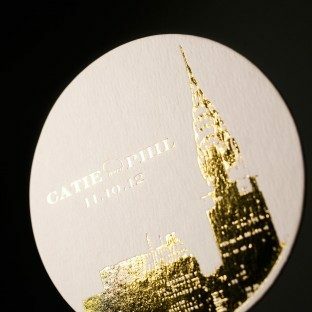 Drink coasters are a popular way to carry your invitation style through to your wedding day — and they make a great keepsake for your guests. 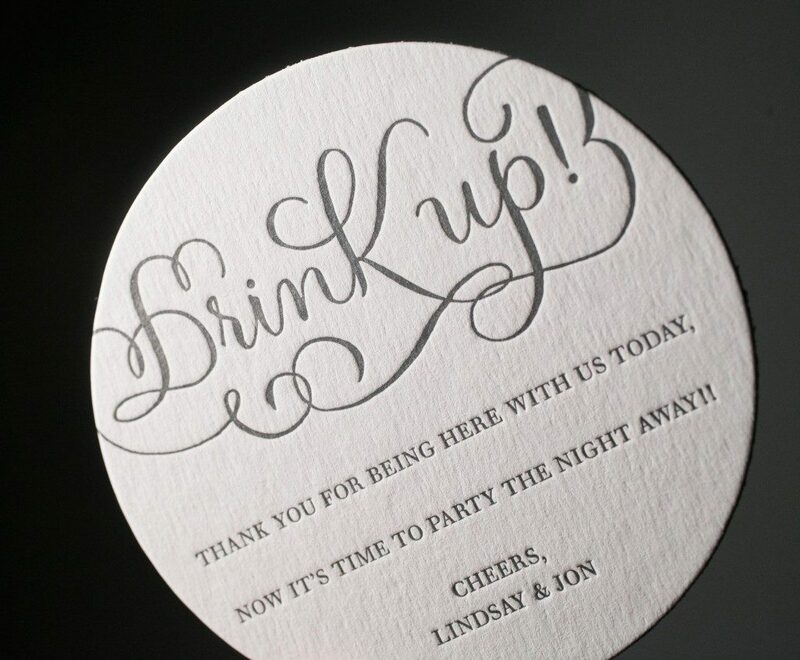 Our letterpress coasters can be single sided or double sided, and can feature your monogram, your favorite drink recipe, a meaningful quote or a special message for your guests. 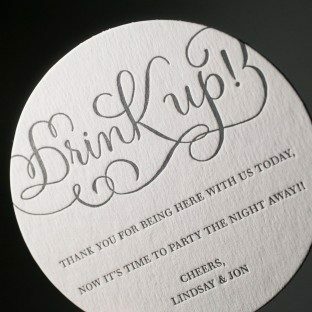 cover with sugar, add club soda and rum.